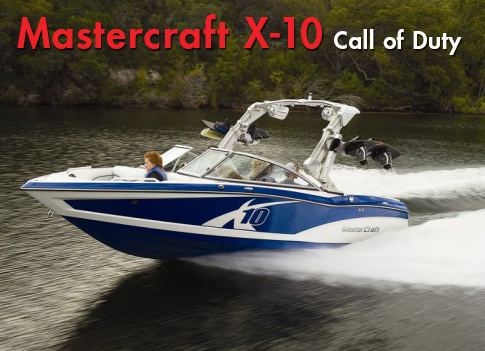 MasterCraft raises the stakes with its 2013 X30. 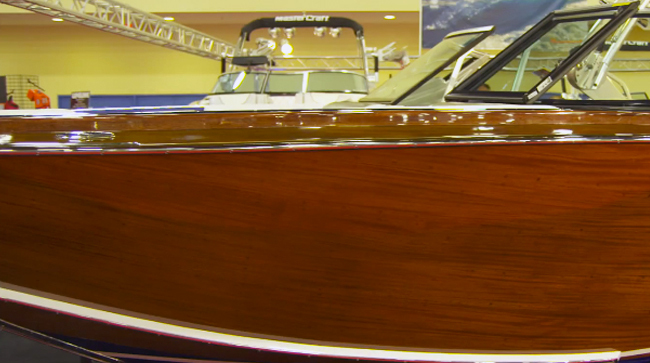 You always expect the top-of-the-line model in any boatbuilder’s portfolio to get a lot of attention and a lot of development tweaks. With that comes fresh styling and innovative features. That’s all well and good, but what about models for buyers who aren’t shopping the top of the line? 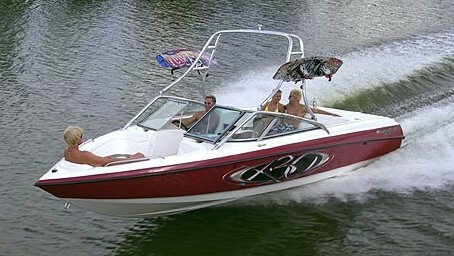 It may not be the flagship model in the fleet, but the X 30 has what it takes for serious wakeboarding and wake surfers. On purpose or by accident, MasterCraft is answering that question with its new X30, a traditional-bow wakeboard boat with some of the nifty features and styling cues introduced in the top-shelf MasterCraft XStar earlier this year. First there’s the shape, a wonderfully sculpted profile with discernible “hips” that give it a silhouette like no other V-drive tow boat. 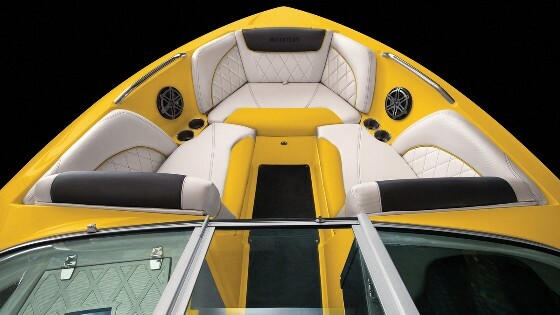 Second, there’s the innovative seating system at the rear of the cockpit, a billet aluminum backrest and cushion on tracks that allow rear passengers to face the action behind the boat or face forward for the trip out to that secret cove. The lounges in the cockpit conceal a removable 36-quart Igloo cooler and removable trash bin on the starboard side, and a cavernous stowage compartment to port with a gas strut to hold up the hinged cushion. The helm is also a real treat, with a swivel seat, flip-up thigh bolsters, and full analog instrumentation up top plus a standard 4.3-inch touch screen display to starboard of the steering wheel. The ergonomics are first rate; your hand falls naturally on the throttle when you drop your arm on the coaming panel armrest, for example. 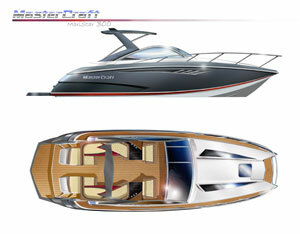 MasterCraft offers some black interior materials, which look uber cool, but get uncomfortably hot in the sun. Choose a light colors. The bow features stowage beneath each bench and a rear-facing forward seat that conceals an anchor locker behind its backrest. It doesn't sound like much, but anchor lockers are somewhat rare on tow boats. 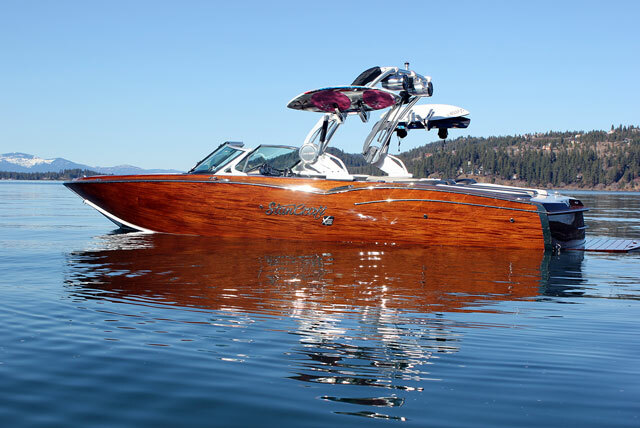 A modern wakeboarding boat with a pointy bow? Why not? Towers, on the other hand, aren’t exactly rare. 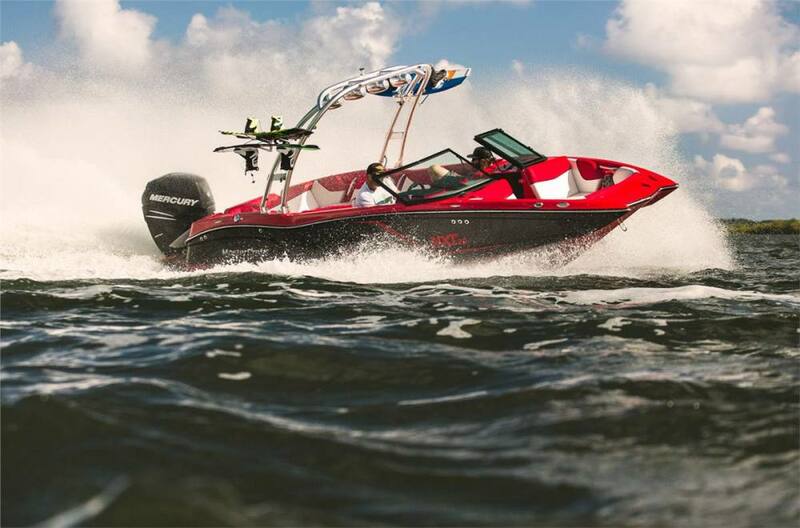 But MasterCraft’s standard ZFT4 tower raises and lowers by hand. When folded down, the tower doesn’t prevent you from opening the hatches to either side of the sunpad. It’s a nice forethought that means no more having to pull the boat out of the garage and raise the tower just to get something out of the hatches — which happens a lot more than you think. There are nice options such as a cockpit table, a billet aluminum walk-through door, a heater and heated seats, and an optional larger touch-screen display. The nonskid walk-over sun pad is standard as is the new “water fall” swim platform, the rear lip of which is curved down at its trailing edge so you can slide right off once you’re clipped into the bindings. And that’s what this boat is built for. 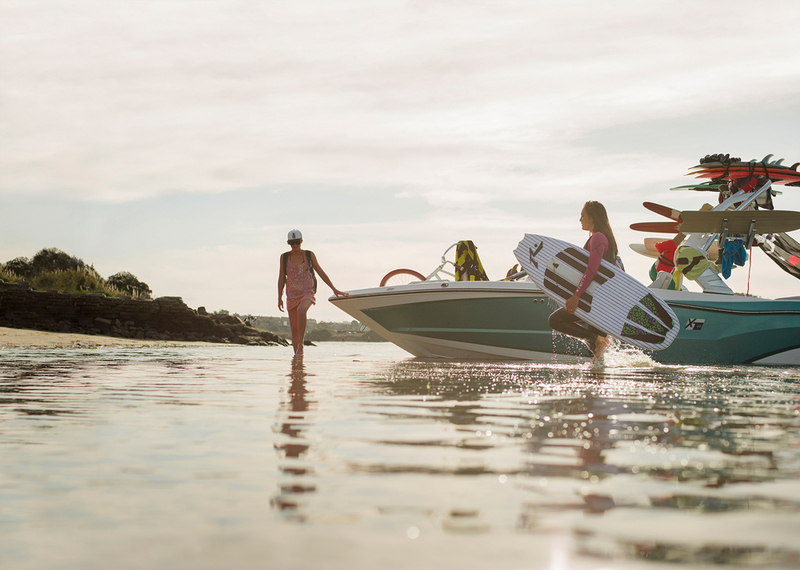 It’s all-new hull is designed with performance and wake shape in mind. 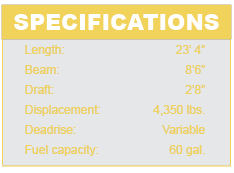 The standard ballast system holds nearly 1,000 pounds of water, which is enough capacity for wake-surfing, particularly if you outfit the boat with the optional surf tabs. As nice as it would be for all buyers to shop at the top of the line, MasterCraft realizes that midline shoppers are equally important. And their middleweight X-30 delivers the punch in just the right place.